The Sixers will come away with Andrew Wiggins on Thursday night. I don’t know when, I don’t know how, but it has to happen. The Sixers need a guy who not only has superstar potential, but has the star power to put butts in the seat. Jabari Parker is a nice player, Embiid is tantalizing but injured, Vonleh is a safe pick, and Exum is a mystery. Those guys are nice, but I doubt will get the city energized and excited about the Sixers again. The team has trade pieces available to move up to #1, or work out a trade with Cleveland if they decide to wait. 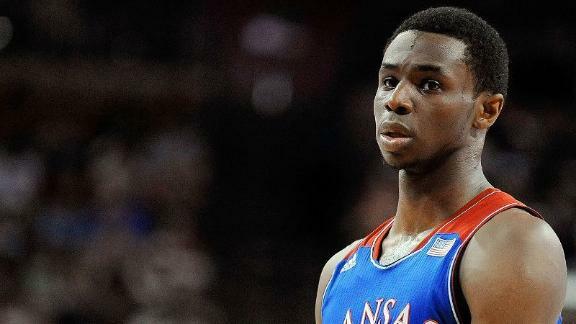 Maybe the Sixers draft Embiid at 3, Cleveland snags Wiggins at 1, and then a trade occurs. It happens quite often in the NFL, and I think we could see it on Thursday. Wiggins WILL be a Sixer. Book it.